Today Penguin celebrates the centenary of the registration of the Ladybird logo in 1915. It was very interesting to watch the recent televised documentary on the remarkable story of this format and its history. The real Ladybird success, came with the introduction in 1940, of a pocket-sized mini-hardback book measuring four-and-a-half by seven inches and based on a standard 56 page folded format, which was cut to size with no waste. On one side of the spread were high quality full-colour illustrations by the likes A. J. Macgregor, Charles Tunnicliffe, Allen Seaby, Harry Wingfield and Martin Aitchison, whilst on the other side the text was simple clean and engaging with verse initially by W. Perring. 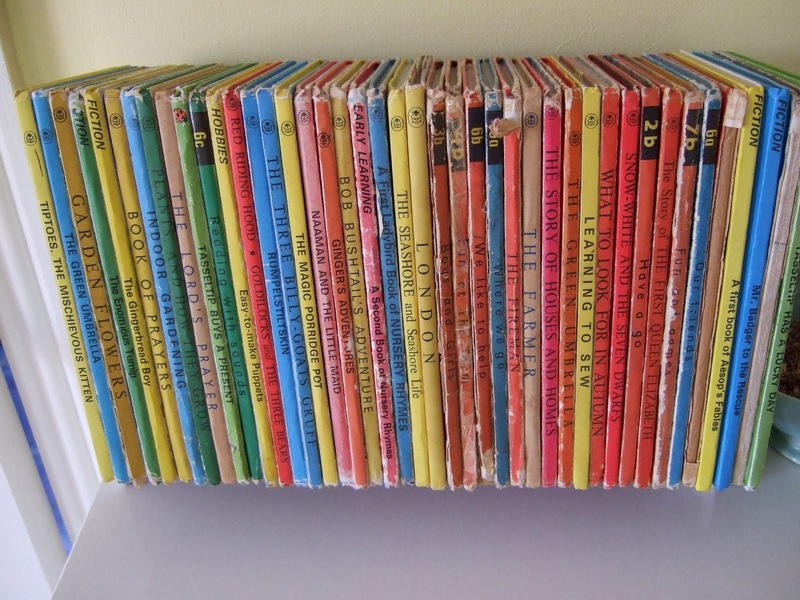 The characters created by Ladybird captivated the children of the time and the books were sold in not just bookshops but newsagent and the grocers. Most children in the late 50s, 60s and early 70s were avid readers and collectors of the cheap, simple and distinctive books, which often depicted the post war model British way of life and the innocence of the children Peter and Jane at play, the housewife Mum and breadwinner Dad. Labybird went further than the Famous Five, Just William and other fictional series of the day. They covered not just stories based on family life, but introduced many to the wonders of nature and history and even covered science and engineering subjects. The series were colour banded, uniform and filled both the shelves and minds of many children in a way that has yet to be surpassed. In addition, all the books were priced the same and were aimed at being affordable and accessible for children to buy themselves. Would the format and style have adapted to the changing marketplace or was the changes introduced under Pearson inevitable and the death of the design form inevitable? Was DK the closest to matching their audience? Are today’s collectors merely remembering their lost childhoods, or paying respect to what was once a winning format, a clean price point and distinctive brand? Can we learn today from the Ladybird pre Pearson? Today’s children’s books come in all sizes, have no price point and often the character is the brand. Will tomorrow’s books continue the same, or will someone revisit what once worked and adapt it to today’s growing digital and physical book markets?